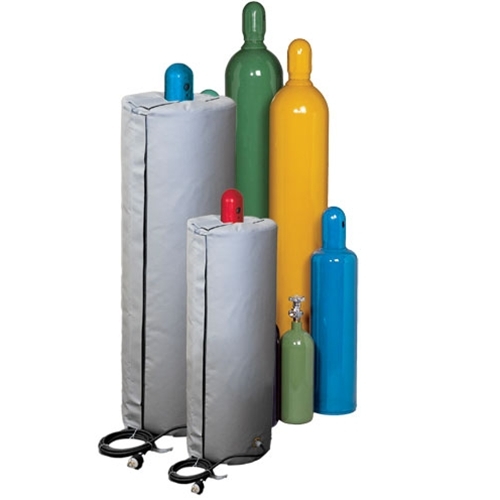 Compressd gas cylinder electrically heated and insulated cover / jackets help improve gas flow in cold conditions. May be used outdoor. Two versions: General Use and CSA Hazardous Area Approved.